These days, many email users rely on free services such as GMail or Yahoo! Mail for their messaging needs, but these services lack the customization that some business customers may want (i.e. myname@mydomain.com). For that, they have two options: setup cloud services with Google or another service provider, or use the email accounts offered by their web hosting providers. If your web hosting customers opt for the latter, you have some things to consider. POP3 and IMAP offerings are a given, but if your customers want a web-based option, you will need to provide one. 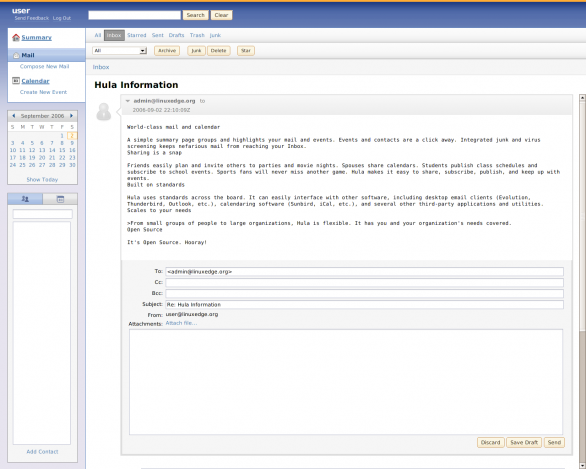 Some hosting control panels come with web-based email solutions. If you have that option, use it. If you do decide to install your own web-based email, make sure you choose secure, well-tested software that is easy to upgrade and maintain. The last thing you want is to have to manage poorly written software and spend your time fighting off hackers who exploit its security holes. Finally, make sure that things like quota control limits are easily enforceable and that the server load is not too high. You and your clients will hopefully be happy with the results. Is Yahoo going to buy bit.ly?